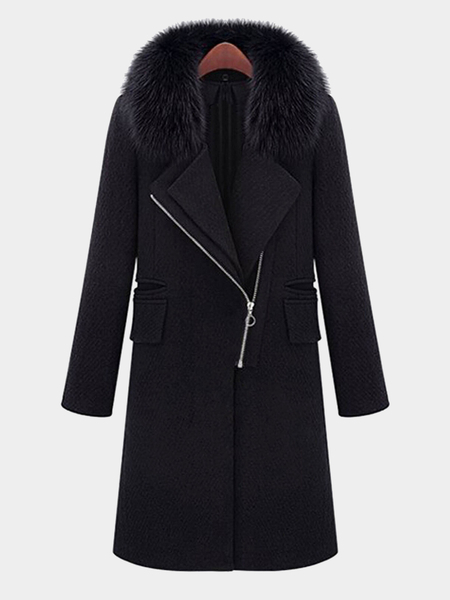 Zip Front Longline Coat with Artificial Fur Collar, Play up to your feminine side this season in this seriously longline coat. With oversized lapels and pockets to the sides this oversized wool coat will ensure all eyes are on you. Style this over a high neck white knitted maxi dress and strappy heels for a totally on point finish.